Then maybe again, it’s not everything. Especially if we perceive something in error. Curiouser and curiouser ‘Life’s Puzzles’ seem, especially when the puzzle’s come with missing pieces. I’m using the word ‘seem’ here because this piece is about perceptions. And… it would seem my perceptions are being tested right and left lately. Showing me what I often perceive as my reality is not at all the fact. And maybe that is a good thing, keeps me on my barefoot toes. I suppose. The recent discovery that the reality of what I believed to be true isn’t so set me back a few paces. That what I thought to be so and isn’t the fact at all points out to me that my perceptions can be completely off. Making such a mistakes in judgements as to what I perceived from others is giving me pause, and is what is inspiring this post. Thankfully this misguided perception has no negative weight of influence on how I identify with as myself. (I know there was a time in my life it might have) What struck me though was that my own perceptions were so askew and wrong. I oddly enough discovered that a whole lifetime of interactions were all based on something that was never true, now it’s appearing it had been nothing but charades the whole time. I’m no doubt too analytical sometimes, but it’s what I do. Especially when it comes to our human spirit and how the world influences who we are, and what we do. I began to wonder about perceptions in general. How do our perceptions affect us? Discovering that something I believed to be true for decades was never so in the first place is not something I just can say “Oh well” to. That my perception was so off is what set me back a moment. I decided to use the discomfort to familiarize myself again with the theories of perceptions. I’m never being flippant when I say I am a Student of Life, I do like to read and study about who we are as a species. There are still so many learning curves to life. 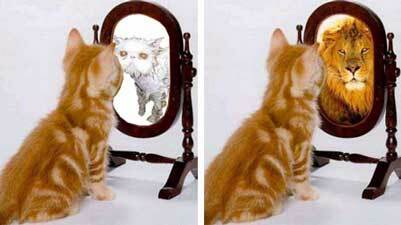 How important are the perceptions of others in our lives? How much weight do we give those perceptions? Briefly what I know about perception is it’s the way we decipher what we see, and what we sense from people and the environments in our lives. Our perceptions are how we decode all that ‘intelligence’ we receive, if you will. It’s how we see the world, each other, all that which creates our own sense of realty. And even though I think my sense of perception is keen, sensitive, and intuitive, in reality it’s skewed at times. Then include everyone else and their perceptions into our realities. It sometimes surprises me to learn how others in my life see me, their perceptions of who I am. I am often pleasantly surprised by how another perceives who I am… Yet there are other times the perceptions of others could be nothing farther from the truth. Having the power of choice to what perceptions we choose to give weight to is a freedom to embrace I think. We are indeed what we think. I also find it interesting to consider just how much weight we give, or we do not give to others perception’s of who are. Choosing where the power of our thought’s comes from guides and molds who we are. Our own thoughts can empower. Or not. Just as those perceptions of others can empower Or not. Acknowledging that letting my ego get caught up in how others might perceive me was really a learning curve, learning it is wasting my energy and effort when I focus it on what others think of me. Instead of dwelling on thoughts of what and how others perceive me I’m putting that focus right back into the ways I most am able to live authentically. I think it might be natural to get caught-up in how others might perceive us as, but in actuality I’ve come to learn it serves no one. And remember; we might even get those perceptions wrong. Thoughts come from our perceptions, and to know what they can do for us, and equally can do to us is to have a keen self-awareness of ourselves and the world we live in. I suggest that we stop giving away our self-perceptions to thoughts that are not only are self-limiting, but to all the negatives as well. Let’s not feed our self-perceptions and our identities from others perceptions. Give rise to the ‘You’ that authentically wants to just ‘Be”. Take advantage of the freedom of free will and choice in your thinking. Let it be your authentic and genuine thoughts that guide how you perceive the world around you, and how you perceive yourself. Being mindful that we are absolutely what we think we are. You might truly find an amazing surprise. Great post and you are correct that perceptions are often wrong. Being wrong is ok as long as we allow time to correct our initial views and let more information in. I think it all comes back to honoring our ‘gut feeling.’ Wonderful post, thanks! Thank you so much for fantastic sharing here. Perception might be the truth, and it might not be the truth. 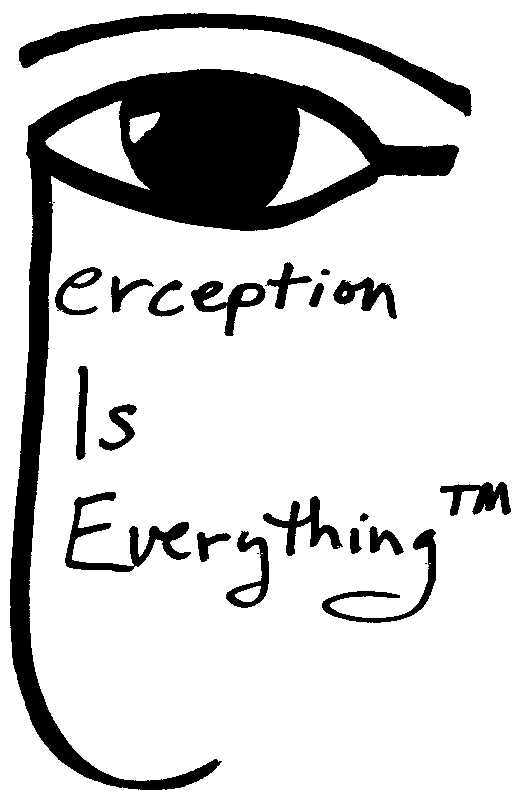 By its’ very definition, perception is an egotistical exercise. I.E. Me seeing it one way, others another. Honestly; How is it nobody sees it, hears it, feels it just as I describe it? I am correct, and they are not. I have it right, they don’t. My perception is the truth but, it is only my truth as dictated by, my ego. It is not a matter of being wrong about perception, it is a matter of not probing for the many dimensions of possible truths within that single dimension of egotistical perception. It is a matter of going beyond ego for the answers. It is not about me. Maybe it’s about the acceptance of everything. Things, people, places, and life’s scenarios as they unfold……. My dear Sister, I must tell you, I am writing my first reaction to your post, and not giving much thought to it. Yet, this is you bringing these thoughts out of me, so you must have struck a chord with me as you always do. Your thoughts shared took me to a deeper discovery that what someone else might perceive or might not has more dimensions than originally considered. Your share has been on my mind for a couple days as I let it sink in and resonate within myself. Hence the late reply to you. The very fact that our own perceptions are based on our ego’s history is enough for me to see the fact is just as you said, not right or wrong. A perspective until shared by you I didn’t see immediately. I think that is one of the coolest things about our friendship, you provide a ‘slant’ on my core thoughts I had not seen. Trying to learn to not let my ego be my basis for my perspectives and belief systems is an ongoing exploration & study, and sharing the experience with someone who ‘gets it’ so that there is this great sharing is such a beautiful gift. Thank you my grooviest of Groovy brother. You brought many questions to the surface to which only brought me to more questions. The results of this probe intrigued me to a great degree. Some of the questions I began to ask because of this post are outlined in my latest blog entry, and I believe you will really like John C. Bader’s (The Responsive Universe) comment. I am in the process of digesting his remarks. He has a lot of insight, and I believe we all come out on the same page. I find it amazing that, I can come here, and always see a little of myself. It feels like looking in a mirror of minds. How does she know me so well? Awe Jules thank you for sharing with me. It’s true that we can be literally dumbfounded by perceptions that we misread, or mislead with. Not ever even intentionally. I love to hear from you how often our lives mirror one another in some ways. Please be kind to yourself my dear friend. Life is difficult enough to not be your own best friend. Gentle hugs sent to you from me Jules ~ your CC. As I adore you Jules! Hugs my friend. ~ . For some reason this post reminds me of this: “I know that you believe you understand what you think I said but I’m not sure you realize that what you heard is not what I meant”. Smiling Joss… yes, I am now from you reminded of this too. It makes so much sense in that odd way, doesn’t it? Thank you Merridy so much for this kind award. I welcome it, the first for 2014. Also welcome to you here at LBB, I hope I see a lot more of you here and over at your blog. So love finding that you shared here Lou. You’re so right that discovering this was a misconception was very much a growing experience, another life lesson learned. Fortunately this came to me with little hurt, just a whole lot of awareness. I think growing is some of the hardest work we human’s do, and I too wish sometimes we didn’t have to. Thank you so much for your visit. It’s always good to see you my friend. Hi, honey. I am so excited at the joy I read in your posts. Your last year seems to have brought you balance in abundance. Love and hugs, my bliss! Oh dear Jude, my life has been something this last year that might resemble a rollercoaster emotionally. But so worth every ride, whether it was up or down I came away with something of value in lessons. I have worked harder this last year than ever at keeping my head out of the sandpitslife can put in our way I know you understand. Thank you so much my bliss sis for being here, you are a constant I find so comforting and include you as a blessing in my life. Love you sweetie! I am happy and proud to be your friend and admirer, Toni. Love you too!